There are two ways to operate in the world: one way is the human perspective (generally the norm) and the other way is through your higher self or spirit. We will work together with your higher self to allow higher levels of consciousness to come through to share their vision for you. We will start with exercises on how to use your body to connect to your spiritual self. As you embrace your ability to connect with your guides, you will start to take actions in co-creating a deliberate lifestyle by design. It could be as simple as opening up enough to allow certain services to come into your life so that you are not bogged down with chores. It could help you free you up to direct your time towards more pleasurable activities. Let’s explore your eternal nature and help you deepen your relationship with your higher self. As this connection strengthens, your mental clarity will enable you to make decisions with purpose, greater flow, and ease. Having gone through this myself, it is my joy to share this with others! Transformational Breath® Sessions are available. Private, Semi-private, small group and full workshops. $80 for 30 minutes Sign Up! $125 for 30 minutes | Sign Up! Dec 2018 I AM the Breath! I AM the “I AM” in Light! Nov 2018 Rest in Your Breath and Don’t Muck it UP! October 2018 As Our Breath Expands, Our Hearts Open! Sept 2018 Why Breathe Intentionally? Feb 2018 Light Logic Tip # 25 Your Soul’s I.N.T.E.N.T.I.O.N. Nov 2017 Light Logic Tip #22 P.L.E.A.S.U.R.E. A.N.D. P.A.I.N. July 2017 Light Logic Tip #18 Am I Living Right Here Right Now or Am I Re-creating a Past Moment? P.A.U.S.E. June 2017 Light Logic Tip #17 Legacy Living: What’s Your Imprint? April 2017 Light Logic Tip #15 W.I.N.N.E.R.S. A.S.S.E.R.T. DEC 2015 Relationship Question: Should I Stay or Should I Go? JULY 2015 Recognizing your Special Soulful Signature? 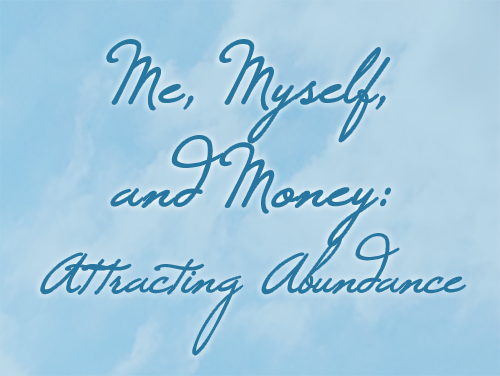 Jan 2015 What is Abundance? Whether you’re going through something or just “going through” life – happy, sad, angry, or complacent – talk to Darryn. This woman has a very giving, warm soul. Just talking to her for a few minutes left me feeling more well, more healed, more calm, and more clear about my spiritual path than I’ve been able to feel in a long time. Despite the fact that I’m going through a huge life-changing transition, I couldn’t feel more at peace having consulted with Darryn. Thank you, Darryn! My experience with Darryn has been a 100% uplifting experience. Also, my friend in North Carolina that I referred felt the same way. My friend felt like a different person. I am very grateful. Darryn’s help is greatly appreciated and I thank you for your kindness, courtesy and refreshing perspective. It has helped me to see things differently. Darryn’s perception is powerful! With the shortest of discussion she pinpointed the essence of my concern, allowing me to use my time talking about the solution to the issue instead of circling peripheral concerns. I felt the weight lift as I experienced Darryn’s understanding and utter acceptance. It was healing to simply be in her presence. She is a true gem and I highly recommend her to those desiring insight into their purpose and heart’s desires. Darryn is a beautiful soul! I just wanted to thank you again for taking the time to meet with my and share your wisdom. You are such a beautiful light, gifted in so many ways. I am feeling great after our talk and already did my 5 min quiet time twice. Darryn truly has gift and it is not only something I know from her guidance, but something I felt from her presence instantly when I met her. She dedicates herself to living a life full of optimism, joy, and love, and truly cares to help others do the same. I am so grateful to have met her, and for her beautiful heart and wonderful intuitive guidance.